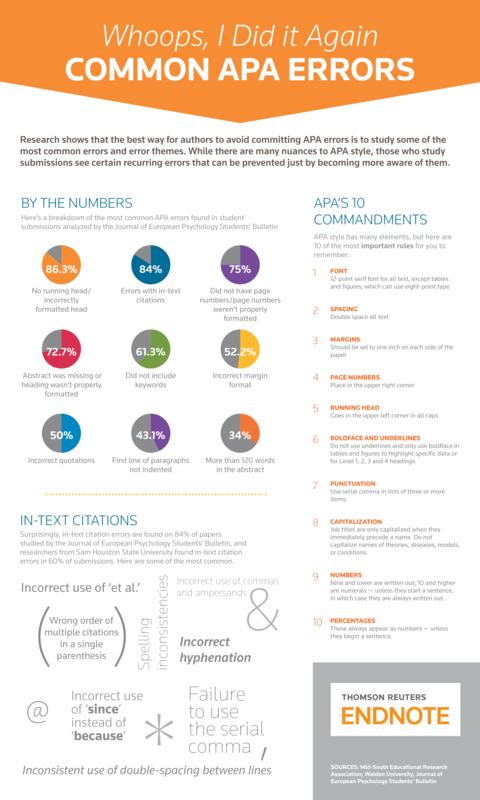 APA-guidelines, don’t we all love them? As an example, take one simple black line used to separate words – the hyphen: not only do you have to check whether a term needs a hyphen or a blank space will suffice, you also have to think about the different types of hyphens (Em-dash, En-dash, minus, and hyphen). Yes, it is not that much fun. And at JEPS we often get the question: why do we even have to adhere to those guidelines? The answer is rather simple: The formatting constraints imposed by journals enable for the emphasis to be placed on the manuscript’s content during the review process. The fact that all manuscripts submitted share the same format allows for the Reviewers to concentrate on the content without being distracted by unfamiliar and irregular formatting and reporting styles. The Publication Manual counts an impressive 286 pages and causes quite some confusion. 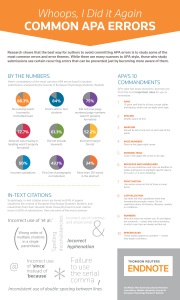 In JEPS, we have counted the most frequent mistakes in manuscripts submitted to us – data that the EndNote-blog has translated into this nice little graphic. Here you can find some suggestions on how to avoid these mistakes in the first place.